Trends on Tuesday: What Does Mobile-First Video Look Like? Like many Americans during the last month, I developed FIFA fever. Checking on scores, anticipating the latest Google Doodle and watching game highlights became part of my daily iPhone routine. On average, consumers spend 33 minutes a day watching video on mobile devices compared to 22 minutes a day watching video on desktops and laptops according to a report by eMarketer. This breaks down to 20 minutes a day on tablets and 13 minutes a day on smartphones. Surprisingly, this trend holds true for both short video clips and feature films as evidenced by the increase in mobile traffic to YouTube and Netflix, according to BusinessInsider. Netflix viewership is at 23% for smartphones, 15% for tablets. In 2014, 113.4 million US tablet users will watch video programming on their devices at least monthly, representing 77.0% of all tablet users. That penetration rate will grow to 87.0% by 2018, according to eMarketer, totaling 149.0 million tablet video viewers, or 70.1% of all digital video viewers. Add smartphone viewing and the projected numbers grow from 89.0 million in 2014 to grow to 125.4 million by 2018. 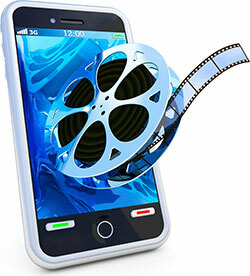 So the next time your agency produces video content, don’t forget about optimizing the message for mobile viewers. For more mobile-first strategies, watch the DigitalGov Mobile Webinar series. « User Experience (UX) vs. Customer Experience (CX): What’s the Dif?